Islamic State (IS formerly ISIS/ISIL) attempts to create fear no matter where they carry out attacks; they kill more Muslims than westerners, says Massoud Shadjareh of the Islamic Human Rights Commission. ISIS uses the same tactics aimed at creating fear and we need to recognize that the concept the extremists act against the West is a fallacy, because in reality they kill more Muslims, said Massoud Shadjareh. It’s not a conflict between Islam and the West but an abomination against the humanity, he added. 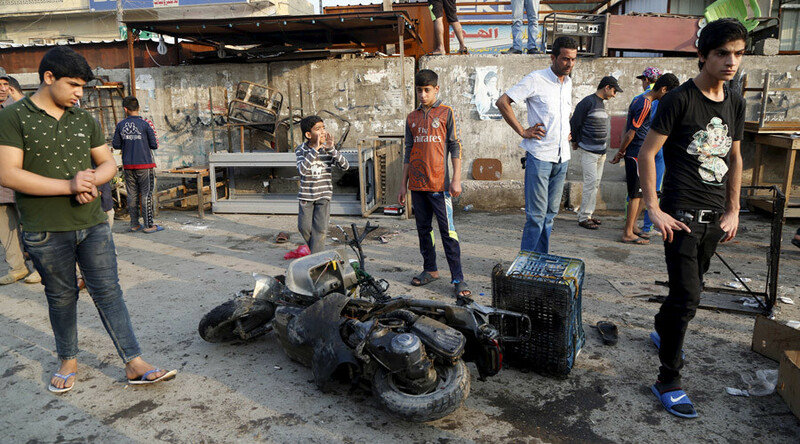 Sunday’s twin explosions in eastern Baghdad killed at least 73 people and left about 110 more wounded. The first bomb detonated at an outdoor market in Sadr City, which is a mainly Shia district. 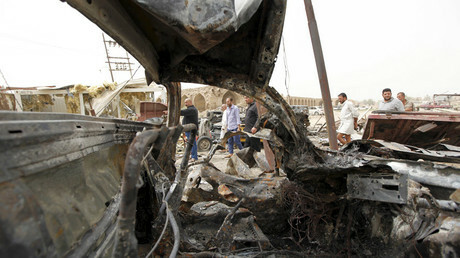 The explosion was followed by a suicide attack aimed at those who had rushed to help the wounded. Islamic State claimed responsibility for the deadliest string of bombings this year. RT: Iraq was rocked by a string of attacks on Sunday. What message do you think ISIS wants to send with this new wave of terror? Massoud Shadjareh: ISIS thrives on creating disorder, chaos, and fear – that is their tactics when they attack in Iraq or when they do it in Syria, or indeed when they do it in France and Beirut…Their policies are backed on creating fear. We’re seeing a string of attacks in Iraq, in Syria, and we need to recognize that the concept which is a fallacy: in some parts of the Western world they say ISIS is predominantly a Muslim group against the West, and a conflict between Islam and the West – it is a fallacy. The reality is that ISIS is killing more Muslims and more people of the region than westerners. This is a sort of abomination against the whole of humanity…what could be done? Unfortunately, we are not going to defeat ISIS as long as states like Turkey, Saudi Arabia and others are supporting them. They are playing politics with the region, and that needs to stop. RT: These types of suicide attacks happen on a regular basis. Why is it so hard for the Iraqi authorities to prevent them, and do you think they are doing enough? MS: From my understanding and looking into it – the Iraqis are stopping a huge number of these attacks; they have got security fences and security apparatus right across the country. But the reality is that we know that there is no way to stop all terrorist attacks; you could stop a majority of them. Unfortunately, as long as they are able to sell oil, as long as they are able to get resources, finances and support, which is pouring through Turkey and elsewhere, they are going to continue. We need to recognize that no good is going to come out of a concept like ISIS. It really is one of those very special occasions [when] the whole of humanity needs to raise up and stop politicking over this thing. This is killing ordinary innocent people on a daily basis. RT: Islamic State was also particularly active in Syria in the last few days. What do you make of the timing in light of the recent ceasefire? MS: They are going to take advantage of a ceasefire. The reality is that for those who are operating in the region it is very difficult to separate who is ISIS, who is Jabhat Al-Nusra, and who is the other opposition - they are working together. Any ceasefire is going to give them some level of benefit. But I think the reality is that in Syria we need to separate all these different interests and concentrate on the terrorist groups; recognize that Western sort of policies in Iraq and Syria actually created ISIS. We need to go back and to recognize that without the help [of] the Syrian army and regional powers [we] are not going to defeat this abomination.